By the foot or by the spool reels. 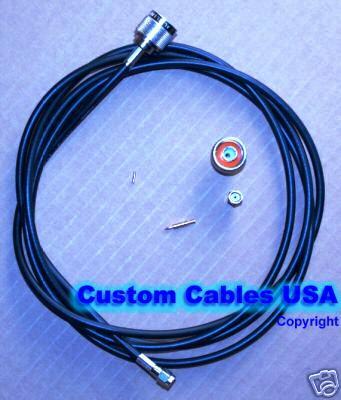 We make custom RF/Radio/Microwave/WLAN cables to meet YOUR special applications needs! High Quality, FAST, Easy to work with, and Discount Prices! SALE ! Volume Order Discount: Bulk Cables (on-the-reels or big rolls) - No connectors. *All RG-58 series are LMR195 equivalent, and 400-series are LMR400 equivalent. 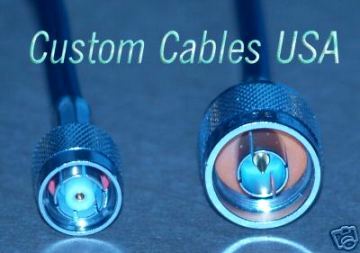 No cables included, unless otherwise specified, current available connectors are mostly 3-piece-Crimp or Solder type only - See Pictures; Find WLAN connector types for devices.. Volume Discounts available. Contact Us if you need other types. Universal Adapter Kit (Standard) >> :$159.99 Sale! @ almost half-price! - Limited Time Discount Offer!